After my third order with FS, I must once again say that I have never dealt with a more professional, customer oriented company. Thanks again, AOC Doug Ferguson USN, NAC (Ret.) Chesapeake, VA..
they are a great compney..
My best friend and I began reloading many years ago. 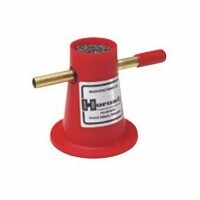 We started with shotgun shells when we were still allowed to use lead shot. We used 2 3/4 and 3 inch loads. 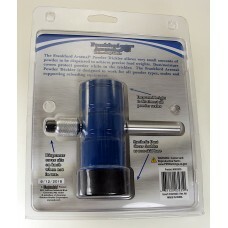 Steel shot came out and put a crimp on our reloading for shot gun shells. We had boys and reloaded 38 cal. shells a.. 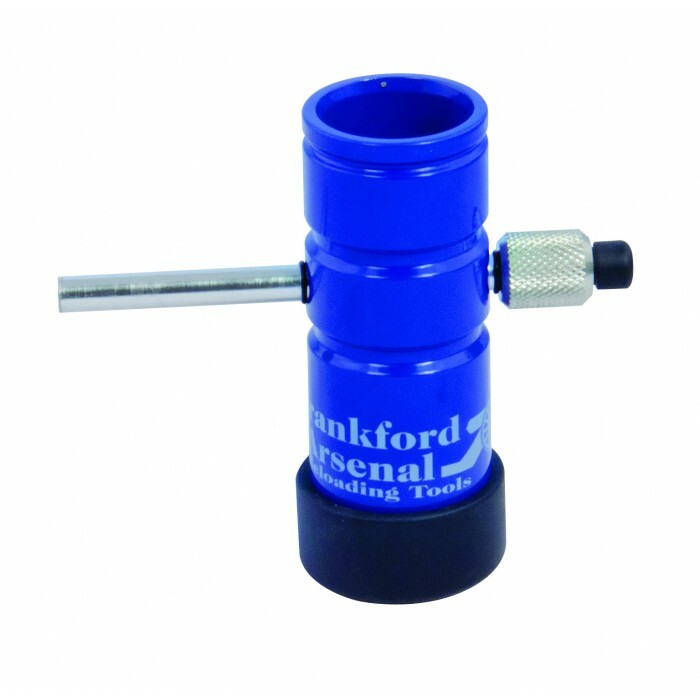 The FrankFord Arsenal Powder Trickler is very versatile and is designed to be used with all powder types, scales, and supporting reloading equipment. 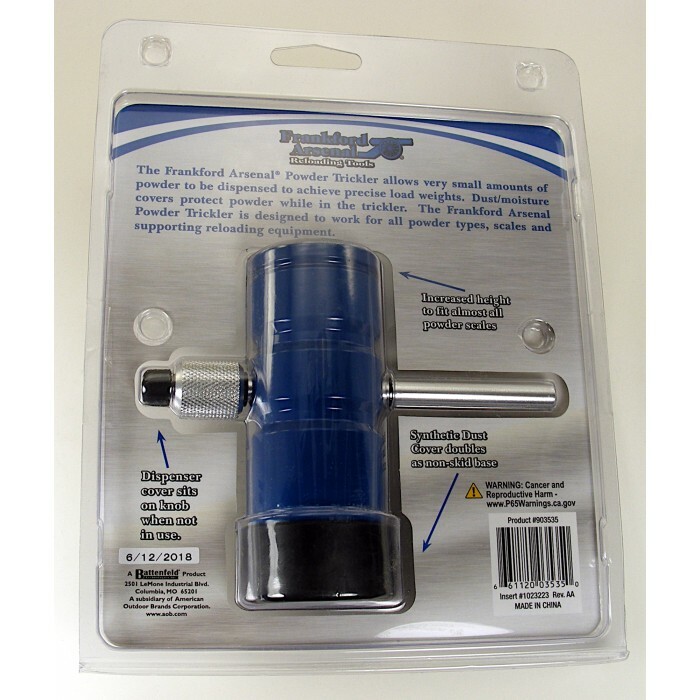 The FrankFord Asrenal Powder Trickler also helps you achieve precise load weights for increased accuracy by only allowing very small amounts of powder to be dispensed. Machined from heavy steel to help prevent it from tipping over. The Dust/Moisture cover protects powder while in the Trickler. 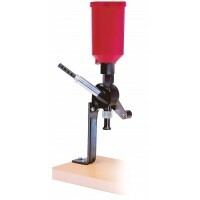 The Hornady Powder Trickler is used to trickle that last few tenths of a grain of powder into a drop.. 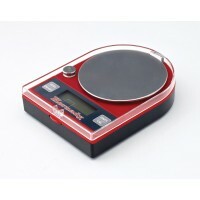 The Frankford Arsenal Platinum Series Powder Measure is precision machined to extremely tight tolera.. 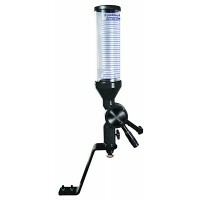 The Hornady compact, battery operated, trickle-compatible scale offers a maximum reference measureme..
Lee Powder Funnel is a large, unbreakable funnel that fits all cases from 22 to 45 caliber.. 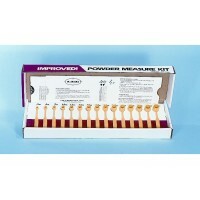 The Lee Precision Powder Measure Kit is the safest way to reload ammunition. 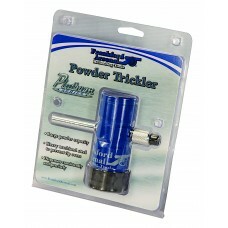 Powder density can var.. 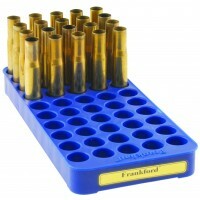 The Frankford Arsenal #5, 50 Round Perfect Fit Reloading Tray is a handy way to stage cases for relo..